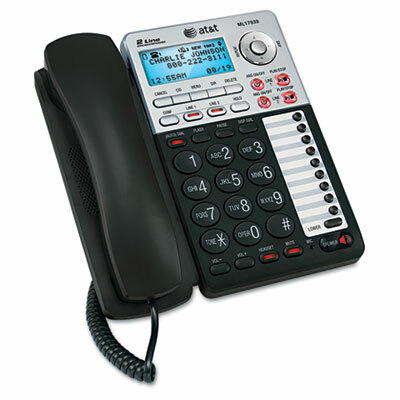 Perfect for small businesses that need two-line support plus other common telephone features. Fully integrated answering machine makes it easy to screen calls and check your message while away. Large, easy-to-read display clearly shows phonebook entries and Caller ID information. Compatible with most headsets (via 2.5mm jack) and hearing aids.